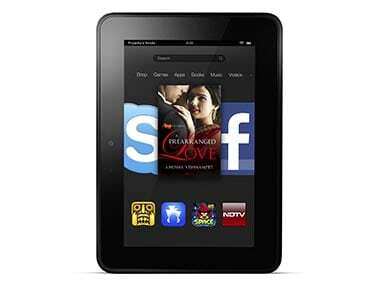 Amazon's Kindle Fire HD tablets, the Paperwhite ebook reader and the Kindle eReader will be available in Indian stores from today. 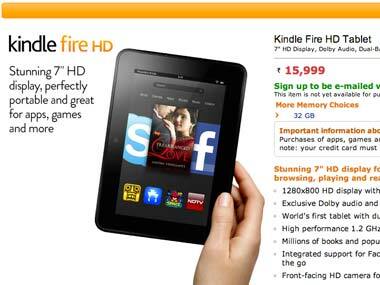 Amazon's Kindle Fire HD has finally entered the Indian market. But can it make a name for itself amongst other seasoned players? Let's find out. 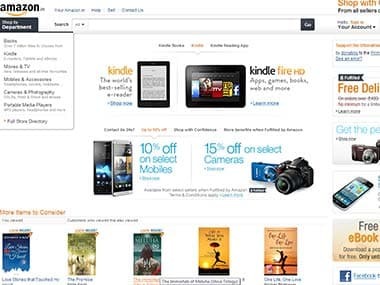 Amazon.in, the India portal for the e-commerce giant Amazon is now offering smartphones, mobiles, cameras and other electronics goods. Both the 8.9-inch and the 7-inch Kindle Fire HD tablets will be available from June 27 for Rs 21,999 and Rs 15,999 respectively. A release by the company said that the 7-inch tablet would be available for Rs 15,999 while the larger 8.9 inch tablet would be on sale for Rs 21,999. 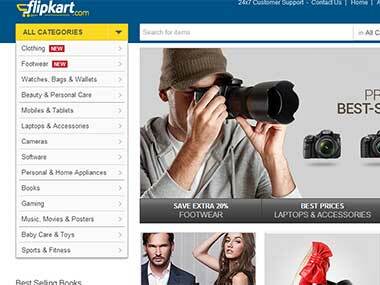 According to Flipkart executives in Lucknow, customers would log onto the site, order for fun via the cash at the delivery scheme and then refuse to pay.